Home » Painting and Decorating Tips » 2015 » December » Best Water Based Gloss? 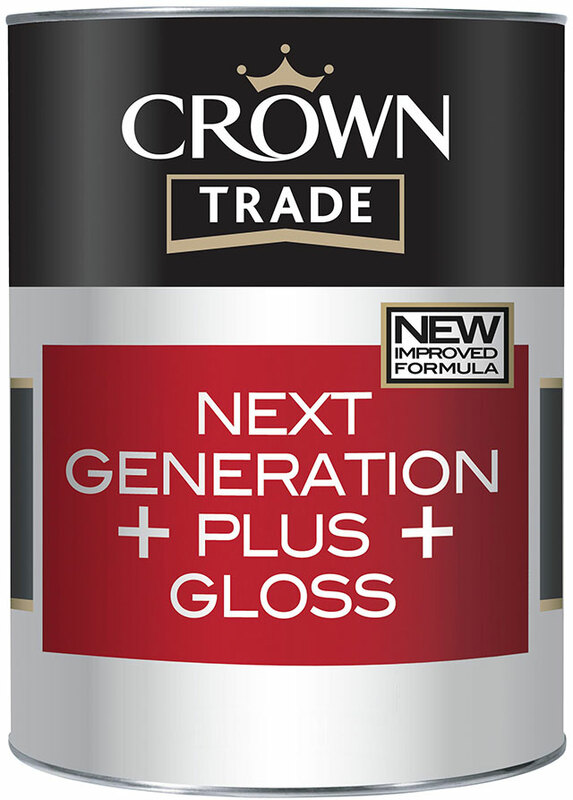 Crown Trade has launched Next Generation Plus Gloss which in my opinion is the best water based gloss. It’s a new and improved version of its original 2010 VOC compliant solvent-borne system, targeted at professional decorators who prefer to use traditional alkyd based products to the new breed of high performance water based acrylic systems available, wherever a gloss finish is required. Senior Crown Trade Brand Manager Debbie Orr says: “Those professionals who have not yet been persuaded to make the switch will love our new and improved Next Generation Plus Gloss, and not only because it offers the application characteristics they are comfortable with. Our chemists have used the most advanced drying systems available in the new formulation and the resulting high sheen finish retains its ‘just painted’ appearance for longer than other 2010 compliant alkyd based gloss systems on the market. As professional decorators know, all alkyd based coatings will eventually ‘yellow’ over time but with our new gloss this happens much more slowly.” “Next Generation Plus Undercoat has also been improved and has great levelling properties, providing an excellent foundation for the gloss to adhere to. The result is a bright white gloss finish that will last.” Before finalising the formulations for the new Gloss and Undercoat, Crown subjected both products to extensive testing programmes. In addition to exhaustive laboratory testing, the manufacturer has also worked closely with a number of contractors across the country, carrying out lengthy performance trials and application tests in order to optimise the new formulations. One of those contractors is D Dyke & Son (Decorating Contractors) Ltd based in Cannock in Staffordshire. The family owned business which has been operating for over fifty years specialises in the new build sector and works for major builders such as Miller, Bellway and Cala Homes across the Midlands region. Next Generation plus Gloss and Next Generation Plus Undercoat is the best water based gloss in my opinion and will shortly be available in White in the full range of 1, 2.5 and 5 litre packs from merchants and specialist decorating outlets.